Your Windows OS can run faster and efficiently when it undergoes regular maintenance like an engine. Irrespective of the specs of your PC, an unattended OS will lag in performance over a period of time. Junks from your favorite webpages clogs around your system giving the processor and hard disk more work to do in retrieving your data. Malware, Trojan as well as viruses may also lurk around causing subtle or significant havoc on your system performance. Regular maintenance is always recommended to avoid lag in performances, hanging/freezing of programs or even unintended shutdowns. Here are some maintenance tips you need to carry out periodically to speed up your Windows. 1. Get protected: Install and update your anti-virus regularly. Trojans, viruses and phishing wares targeting users abound on cyberspace; therefore a working anti-virus is a must before going online. On our earlier review about Securing Your Desktop with an efficient anti-virus, we mentioned that apart from the internet, malwares from USB port also needs to be blocked by using an efficient USB Guard. Remember to always update your anti-virus at least once in two weeks. Some people with limited data subscriptions do turn off their auto-updates for Windows. However, it is expedient to allow Windows to “check for updates and notify you to install them”, and for you to install those security/performance patches once in a while. Probably the most essential tool release monthly as part of the Windows Update is the “Windows Malicious Software Removal Tool”. Make sure you download and run this update as soon as it is released for each month. You can get Windows Update through the Control Panel. As the “malwares” are being unleashed, developers are also working to enhance the security and performance of their software. Therefore, it is necessary to always check, download and install the latest drivers for your system as well as the latest updates for your installed programs. Most updates are free. A cluttered Desktop affects the startup time of your Windows, it is recommended to save your videos, music, documents etc in their assigned folders in the library rather than on the desktop. Apart from making retrieval easy, it gives your hard disk less work to do and prolong its life. Scattered files and folders on your PC creates a lot of fragmentation which gives the hard disk more task to do in finding your requested file causing a slight lag in performance. Run Disk Defragmentation from the Control Panel at least once a month. The processor of your PC is housed in a tight cubicle attached to a heat sink which transfers the heat generated to the vents by the side of your PC/laptop. Overtime, this air vents are clogged with dust and air circulation is restricted. This non-flow heated air generated raises the temperature of the CPU Core and this affects its performance. In extreme cases, it causes a shutdown of the OS. Therefore, it is important to always keep the vent clear of dust as well as making sure that the fan of your PC is spinning at normal rate. Some unnecessary program and services install do run at startup and affects the performance of needed programs and services. To find out about these unneeded start-ups, get a reliable utility program like Glary Utilities and deselect the program you know and feel not needed. 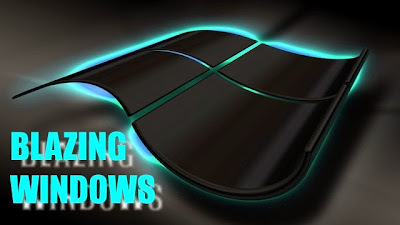 It is always advisable to leave the programs or services you do not know as it could be a core Windows service. Although Windows is intelligent enough not to allow you tampered with the core services, however, users with elevated privileges may accidentally stop them. You can also access the Start-up programs menu directly without any third party utility tool by running the command “msconfig”.